To make sure you get the best deal we'll show you great prices from all of our drivers, including Attila's Van Services , if they're available on the day of your move. Have a question for Attila's Van Services ? No problem, send them a message and they'll email you back as soon as possible. If you have a more general question you might find it answered in the FAQ, or you always contact one of our brilliant customer service team. * Attila's Van Services won't be able to see your email address. Atilla was great- great communication, really helpful with the move and arrived on time. The service was excellent; the driver was exactly on time, helpful with loading the van and very efficient. He was respectful and polite throughout. I would definitely recommend him. Nice guy, came on time. Super helpful! Great job! Really polite, friendly and helpful. Couldn't ask for any more, perfect. Really great. Arrived early ready to go when we was. Attila was polite, communicative, efficient, and friendly. He made my move extremely easy and he was professional throughout. I would definitely hire him again, and I will absolutely be recommending him to my friends. Attila was excellent and made the move stress free and he did it quite quickly. Very respectful of my items and he did all the heavy lifting so I was very grateful. Will definitely use his services again. Thanks again. He's brill and a great driver. Would totally recommend! Very helpful driver. Quick and smooth business. Brilliant! Very helpful and so speedy. He even came back later that today to help a friend with a different job. Highly recommend!! Great diver, nice, professional, smart. Attila was very professiknal and friendly. Would recommend him to anyone. Attila was great. On time, friendly, helped us load and unload. Perfect! Attila was a great help on the day of my move. He let me know ahead of time that he was going to be a few minutes late due to traffic and was such a big help on the day. He had blankets to protect fragile items and was careful with each box. Thanks! Very friendly and helpful with can-do attitude. Atilla was ABSOLUTELY fantastic, he even helped us move our stuff in and out of our flats, he was so good, polite and efficient and helpful that we were done in an hour! 100% recommend Atilla he is absolutely brilliant. Very efficient, friendly service- thank you! Punctual, friendly and conscientious. Thank you for a quick, stress free move! I will use your service again in a heart beat. I will also recommend to others without hesitation. Very professional and kind driver that I would recommend to everyone. The move was a pleasure. Lovely guy. On time, efficient and so helpful. Definitely recommend! Attila arrived a few minutes ahead of the time and called to agree the details of meeting up. He brought a trolley and helped to moved the heavy sofas and glass coffee table with extreme care. He took great care to make sure all the pieces were fastened securely in the van with blankets and strap harnesses. After being on the road for a mile or so, he stopped again to double check if there were any movements of the furniture in the van, in particular the glass furniture. He drove with extreme care and he is one of the most pleasant and civilized driver I have ever seen. We arrived at the destination on time and he again helped to move the furniture inside, again with care and was very considerate and helpful. He also helped to move one heavy sofa to upstairs as well, which was not required by the job. Many thanks Attila, a nice gentleman, really excellent job and it's deeply appreciated. Attila has been very respectful of our stuff and he has been very friendly. I strong recommend him! Attila was fantastic. Couldn’t recommend any higher, he was punctual, helpful, a real gent! The driver was on time and worked quickly. Also, he was kind. The driver was nice and very punctual. Everything was easy and quick. Highly reccomended. Very easy service to use, reliable. The driver was very helpful with loading and unloading. Highly recommend Attila! He was fantastic and the job was over quicker than expected! Very professional and well mannered individual. Was on time and did what needs to be done. Attila was Great i highly recommend him. Very helpful and punctual. No problem with the delay as it was first school day back, so I expected traffic hold ups. Lovely helpful driver. Would recommend. Another great move using! Driver arrived just ahead of scheduled time, was super helpful packing/unpacking my stuff. Basically did all the offloading himself! Would definitely recommend! Driver was very friendly and helpful. Respectful and considerate towards all my possessions. Fantastic service. Excellent! Great job! Thank you! Attila was very helpful and efficient! Would highly recommend. The driver was punctual and prompt and made this an easy move. I highly recommend him. The service I received was very good. The driver arrived on time, if not 10 min before. He was respectful and helpful. For example, I had some flowers with me and he put them (without me asking) with me in the front seat and not thrown in the back with all the other bags. If I need this service, I will definetely call him again. Very professional and amazing person! Thanks !!!! A great move and really helpful service! Very chill and friendly guy. Also very strong and was extremely helpful given that I am not particularly strong myself! I can’t recommend Attila enough! 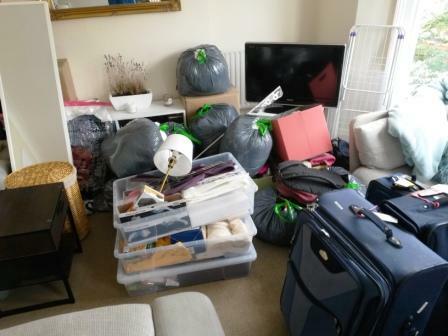 He was punctual, respectful of all of my belongings and easy going, he made the whole move stress free and did all the heavy lifting for my journey from London to Portsmouth. Top quality service would definitely use him again! Excellent service. I would not hesitate to recommend. On time, polite, hard-working, and made the whole process as stress free as moving can be. Would recommend. Excellent service, arrived promptly and was very helpful! I highly recommend Attila, very reliable and professional! Really great help, careful with belongings and efficient. Would really recommend! Amazing services and very friendly driver. Would totally recommend. Thank you kindly. Very responsible, friendly. Prompt. Thorough. Hard working and trust worthy. Much appreciated. Very good van and driver was very helpfull. So everything went smoothly. Attila was very helpful and carried almost all of my boxes even though it wasn't expected. He was kind enough to accept an additional, unplanned ride and we had quite a nice chat while driving. Thank you for making my move smooth and efficient! The driver was super helpful and even went out of his way to help load the van even though he didn’t have too. He was only five mins late but gave me a call to let me know. His driving was careful, and he gave a professional service. Overall I would definitely use this driver again. Thank you Attila man & van ! Atilla was very helpful and made my move stress free!! Best and easiest move I've ever had. The driver was very helpful and friendly. I would definitely recommend him. Attila was on time and helped me with all my things up many flights of stairs! Would use his services again. The driver was very helpful and polite. We did the move very smoothly and in a shorter time than I expected. Thanks for your service. Attila was very professional and helpful! I can definitely recommend booking a job him. I would recommend Attila! He was very careful and very kind. Very good, very helpful. Helped with moving all items from, and into the new place. Would hire again. It would be a mistake to go with anyone else!!! Attilla was lovely, he helped us pack and unpack the car, was so efficient and super easy-going. Endless thanks Attila!!! Attila was extremely professional and helpful. He arrived bang on time. I would recccomend and deffinatly use again. Very prompt move, Attila went extra mile helping me with carrying my stuff, polite and professional, highly recommend. Good service, and was able to accommodate a time change. Driver was very helpful and efficient, would recommend. He was very helpful. Thank you. Grate choice,very helpful and on time. He was great! Really helpful and went the extra mile. I'd highly recommend him, and your service. Thank you. Attila helped us all the way through, from helping us make the most of the time we had booked, to carefully carrying a piano up 2 flights of stairs that arrived in perfect condition. We would definitely recommend and we'll count on him in the future. Punctual service, smooth move. Highly recommended.